Organisations today use a host of new digital channels to communicate their brand proposition and positioning. But defining your brand across multiple new environments (on a weekly or even daily basis) stretches the limits of many companies’ brand guidelines and team structures. 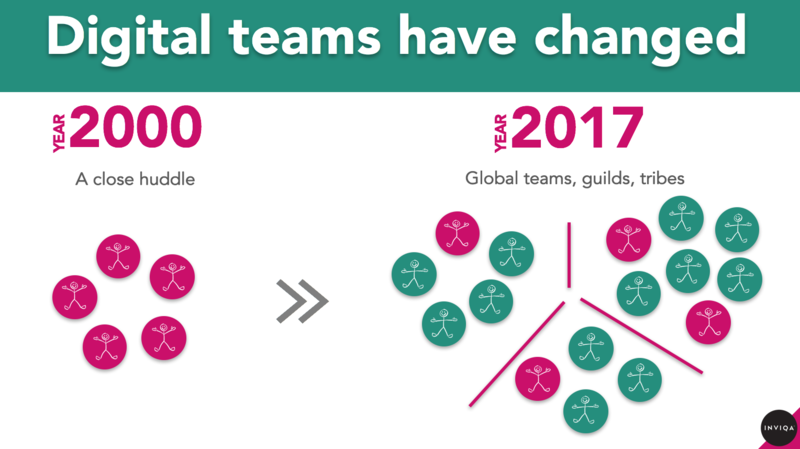 Digital professionals across marketing, service delivery, and operations have moved-on from operating as small SWOT teams ( your ‘web team’, for example) to operating within globally distributed and complex organisational structures. Spotify, for example, has (had) its squads, tribes and guilds structure, while IBM has its ‘follow the sun’ development environment which effectively creates a 24-hour development clock (with a staggering 300,000 or so software engineers). This power-to-the-people approach, and the breadth of creativity associated with these evolving teams, has an impact on how you communicate your brand across a growing number of channels. Here I explore the decisions you’ll need to make to ensure your business delivers digital experiences that truly live-up to your brand promise. Deploying new digital solutions is increasingly achieved using Agile principles, thanks to the speed, flexibility, and transparency they offer. Communicating your brand proposition becomes a challenge when you find new ways to speak to customers. But as expanding Agile delivery teams deploy your brand in ever-more places across regular (typically two-week) ‘sprints’, it’s no longer feasible for the CMO to be present across these hundreds of brand decisions. Instead the product owner – embedded within your digital teams and the gatekeeper of your digital services – should arguably be the principal person handling these new challenges. The death of brand guidelines? Imagine a millennial designer arrives at your organisation, brimming with ideas and insight into how the platforms they use, and the friends they have, interact with brands. 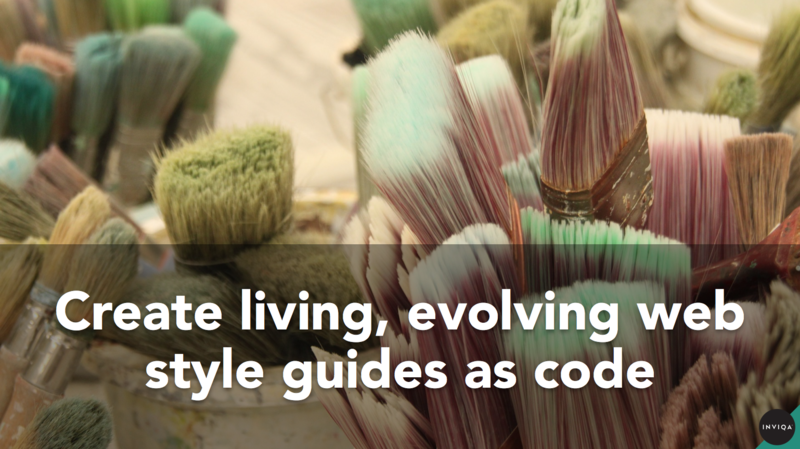 Is a rigid brand-guidelines PDF really of value to this designer who will need to define your brand across new software environments and platforms in their day-to-day work? Of course not. And with the emergence of new customer touch points including voice user interface (VUI) and virtual reality, we’re going to need practical examples of how a brand should ‘live’ in these environments. 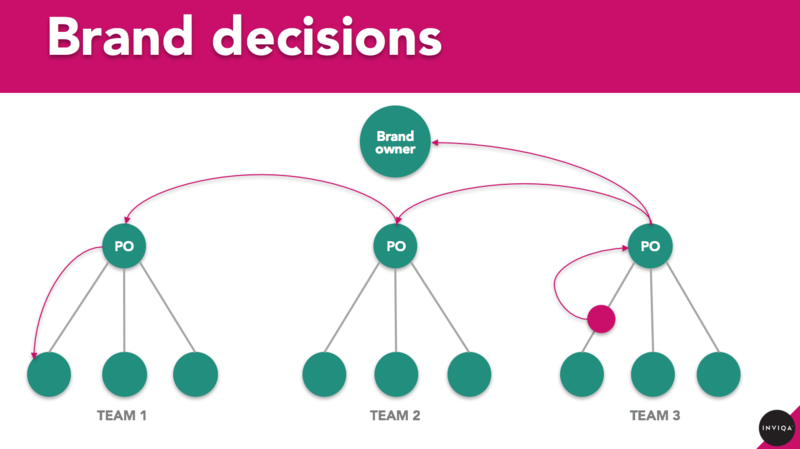 With your product owner in place as your new brand custodian, it’s their responsibility to ensure product ownership teams are regularly engaging with your delivery teams, establishing a ‘live’ set of brand guidelines in a format that can be scaled and distributed across teams. The different touch points through which we engage customers are often created in isolation by separate teams, with little regard for how they fit together. A pattern library is a great way to ensure that the experiences your brand delivers are consistent, irrespective of how many different web professionals and teams are regularly working on and revising your digital products. A pattern library is a collection of design elements that recur across your products. It defines exactly how those elements should look and act, and how they’re coded, and it should be developed in collaboration between your teams to ensure your developers never find themselves reinventing the wheel. We know the web is here to stay, and this lets you build a brand asset that can be built upon and maintained. For an idea of the tools open to you, take a look at the likes of Holograph, Pattern Lab, and Frontify. Creating truly integrated digital services that deliver on your brand promise requires your organisation to consider how teams and stakeholders can collaborate – often and effectively. 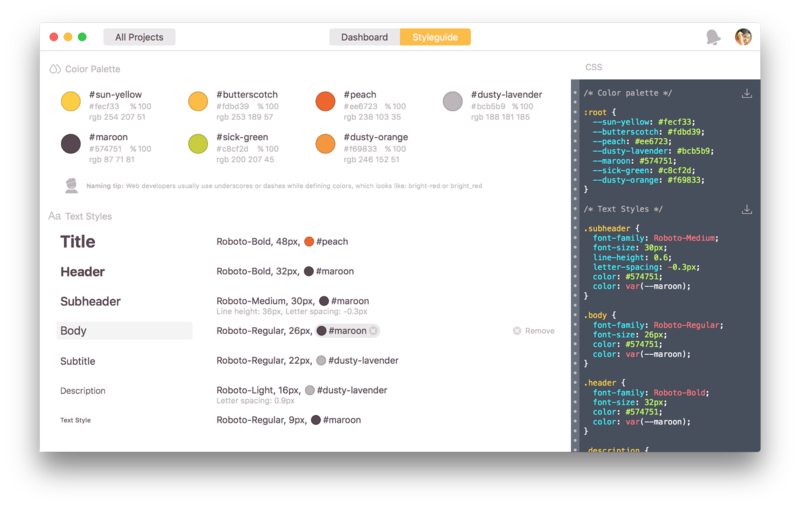 Thankfully, there are a host of new design suites built with collaboration and connected ecosystems in mind, from Sketch, which works with Zeplin to integrate codes and style guides, to Craft by Invision LABS, which synchronises styles across teams. Prototyping and testing are great ways to advance your knowledge and improve the way you communicate your brand across new channels and software environments. Take conversational user interface (UI), for example. We know that digital communication is moving from static content towards dynamic conversations. As a result, your brand’s tone of voice has never been more important, and will be the driving force behind conversational, personalised customer experiences. 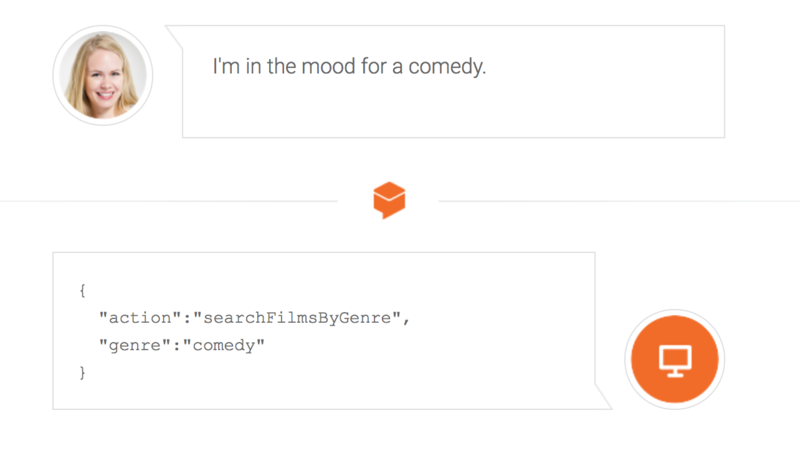 So why not trial a tool like Api.ai – a conversational user experience platform – and start to prototype what a conversational experience feels like for your brand? Such prototypes, coupled with other tactics like hackathons, are a great way to stress-test how your brand holds up in new environments, and what needs to be fed back into your living brand guidelines. It’s why, here at Inviqa, we empower your teams to build capabilities and deliver value, through everything from consultancy and Agile coaching, to continuous improvement support. Attending Millennial 20/20? Be sure to catch Ollie Maitland’s presentation! Drop by the Inviqa stand (#6 outside the Pyramid Stage) to explore how you can improve your digital delivery (and to get your hands on our free, home-made popcorn! ).